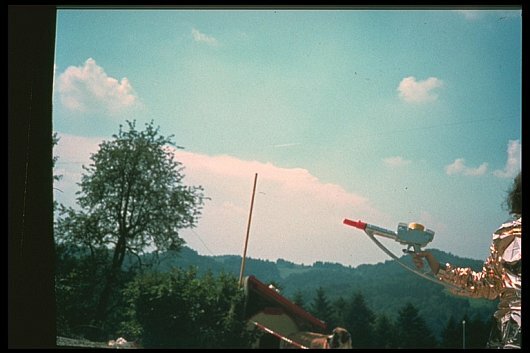 TheyFly.com - The Billy Meier UFO Contacts - Top Skeptic RETRACTS Hoax Claims - Helps Prove Meier Case Real! Top Skeptic RETRACTS Hoax Claims - Helps Prove Meier Case Real! LOS ANGELES, CA - In a stunning development, Derek Bartholomaus, a lead case investigator for CFI-West/IIG, the Los Angeles based, international professional skeptics organization, has retracted his claims, featured in the new film The Silent Revolution of Truth, that Swiss UFO contactee Billy Meier used a model tree and model UFO to hoax his still irreproducible UFO photos. Bartholomaus’ claims, which are the foundation of his presentation in the Special Features section of the new film, The Silent Revolution of Truth, posited that because some of the trees that Meier photographed with the UFOs were similar they must be the same, model trees. 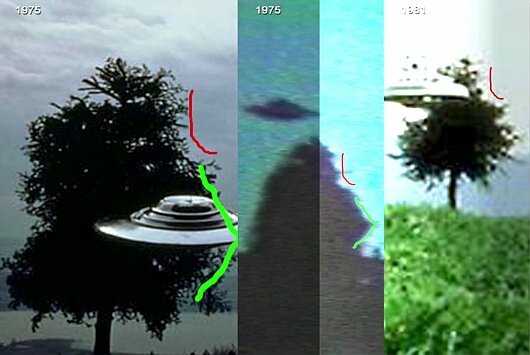 Shown below is the composite of three of Meier UFO/tree photos that Bartholomaus used to try to substantiate his claims that they were proof of the same model tree. He drew the red and green lines to try to illustrate the perceived similarities on the right side of the trees, which, upon close examination, are not at all exact or clearly indicative of the same tree. And, in his carefully scripted presentation, he also ignored the glaringly obvious dissimilarities on the left sides of the trees, never mentioning them at all. And, at no time over the past seven years, has Bartholomaus or his organization ever presented as much as one photograph, or any other evidence, of the existence of such model trees…anywhere. It has already been established, by six different professors of forestry, that the trees shown in Meier’s numerous photographs, films and video, are mature, full-grown trees (see: http://www.theyfly.com/newsflash5/tree.htm). Such an admission by Bartholomaus effectively demolishes the foundational premise for his and CFI-West/IIG’s claims that Meier indeed used both model trees and model UFOs to fake his photographic evidence. It should be all the more disconcerting in light of the rather unceremonious firing of Vaughn Rees, the former case investigator who originally claimed that Meier’s evidence was “an easily duplicated hoax” (http://www.theyfly.com/news2005/jan06/jan06.htm#skeptics). In his interview in the new film, Bartholomaus now tries, a different, more evasive approach by saying that only the person perpetrating the hoax can say that it’s a hoax. Unfortunately, such disingenuousness is contradicted throughout his presentation by his claims that Meier used model trees and model UFOs, which are unambiguous, thinly veiled accusations that Meier perpetrated a hoax. It is also certain that none of this confusion and backtracking will please his own organization, or fellow skeptical associates, such as James Randi (who had already long ago withdrawn his claim that the Meier case is a hoax), Dr. Steven Novella and Michael Shermer, whose own attempts to debunk the Meier case were even flimsier. “And here is clear picture as to how this is done by a person. “…Here is what is done. But, once again, Bartholomaus’ desire to debunk and destroy the Meier case (instead of objectively examining its contents to find out what the truth of the matter is) leads to unexpected, and enormously important, consequences. For Bartholomaus has inadvertently revealed convincingly clear and conclusive evidence in support of Meier’s truthfulness. 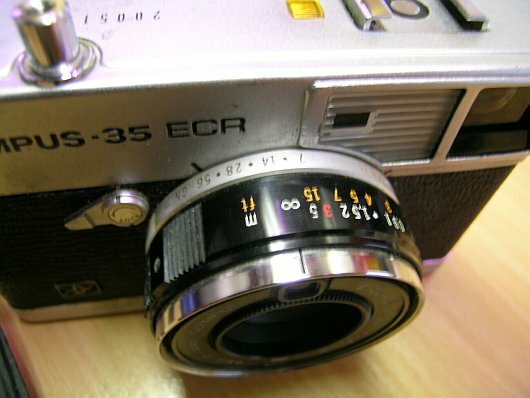 Here, for all you photo buffs, is a photograph of the camera that Meier used. September 6, 2011: Now skeptics have taken issue with the following that I had stated after the word "used" above," which, importantly, also doesn’t have a time exposure feature". 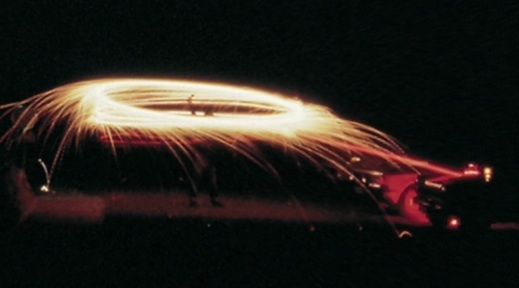 They have pointed out that the camera indeed does have a time exposure feature. So the question will be if the feature was working on Billy's camera, which Christian seems to indicate it wasn't. Assuming it was working, for the sake of the skeptics, it seems to me as a layman that it still doesn't enhance their contention that Meier was swirling his arm in the air. And perhaps I should also post this information from here, "There are two variants of this model. Both are as described above, but one variant also has a battery check button, while the other has an overide button for the low-light limiter that normally prevents the camera from operating in low-light conditions that would cause exposure time to exceed 1/15 of a second. These features seem to be mutually exclusive: neither variant has the other's additional feature." Again, any further clarification will be updated here. extent of the degenration in human thinking, you can read the information that begins with, "The Earth human’s sense of effort towards seeking the truth has disappeared," which you can find here. 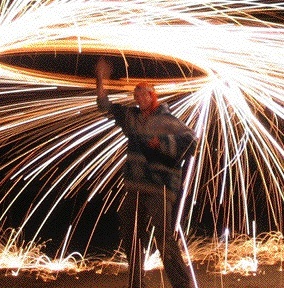 In addition to this information, it should be pointed out that, unlike what is clearly seen in the photo of the man with the steel wool, there is absolutely no evidence of any “burning steel and slag” hitting the ground, and bouncing around dangerously, in the photo of Meier. 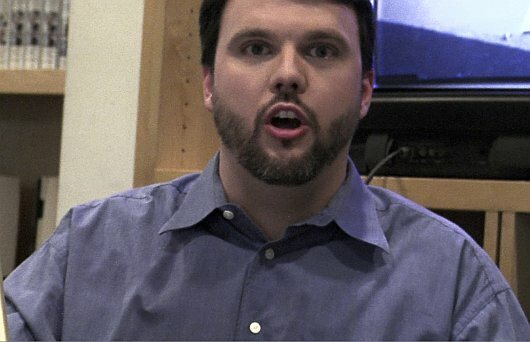 Finally, in a display of frustration, a lack of ethics and plain bad sportsmanship, Bartholomaus posted links to illegal online videos of the entire film and Special Features sections on one of the skeptics’ forums. 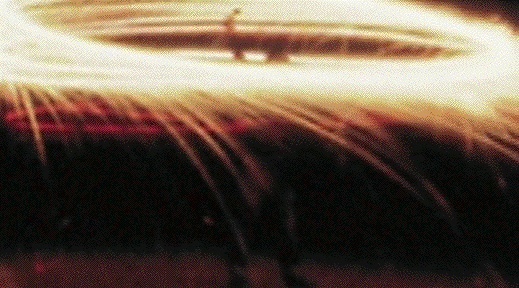 So, once again, Derek Bartholomaus goes the extra mile – in the wrong direction – something that has become the hallmark of the professional skeptics, whose ultimate achievement, quite diametrically opposed to their original intentions, has been to validate the evidence in, and the truthfulness of, the Billy Meier UFO Contacts. In clear recognition of his already admitted failure, Bartholomaus has said that he’s creating yet another “new and improved” presentation, to try to salvage his very damaged credibility and support his attack on the Meier case. However, the truth of the adage, “You don’t get a second chance to make a first impression,” couldn’t be more apt here, especially since CFI-West//IIG have been making their futile attacks against the case for over seven years. Perhaps it’s time that they all took up another, more benign and less intellectually and ethically demanding line of work.